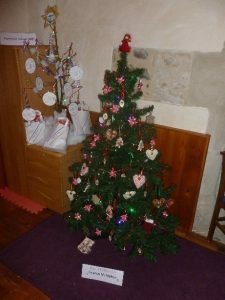 Due to the success of Hardwick’s first Christmas Tree Festival last year, St Mary’s Church is hosting another. This year we have decided that there will be a theme – A Christmas carol or a Christmas song. 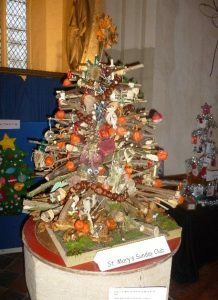 We are inviting individuals, groups and organisations within the village to display a ‘tree’ in any medium, not to exceed 1 metre in diameter and decorate it in any way you would like, to depict your chosen carol or song. It could be a real or artificial Christmas tree or even made from driftwood. It is best if illuminated but lights must be battery operated. 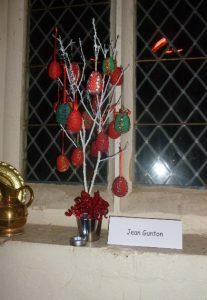 The trees will be displayed in the church over the first two weekends in December. The church will be open to the public to view the trees for a small admission fee and festive refreshments will be available. The proceeds raised will be divided between the Church Funds and winter comfort. We hope this will promote a spirit of community and thankfulness during the Christmas season. Please let me know by Friday October 19th at the latest, if you or your organisation will join in these Christmas festivities. More details will be sent to you if you are interested, nearer the time.